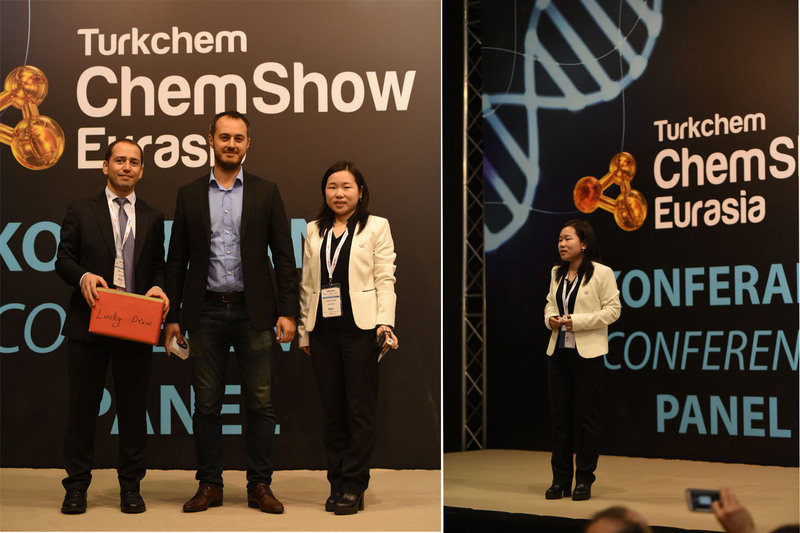 Held on Nov.8-10, the Turkchem Eurasia 2018 came to a successful end last week. The three-day exhibition in Turkey has brought the leading companies, newest products and most innovative technologies under one roof. 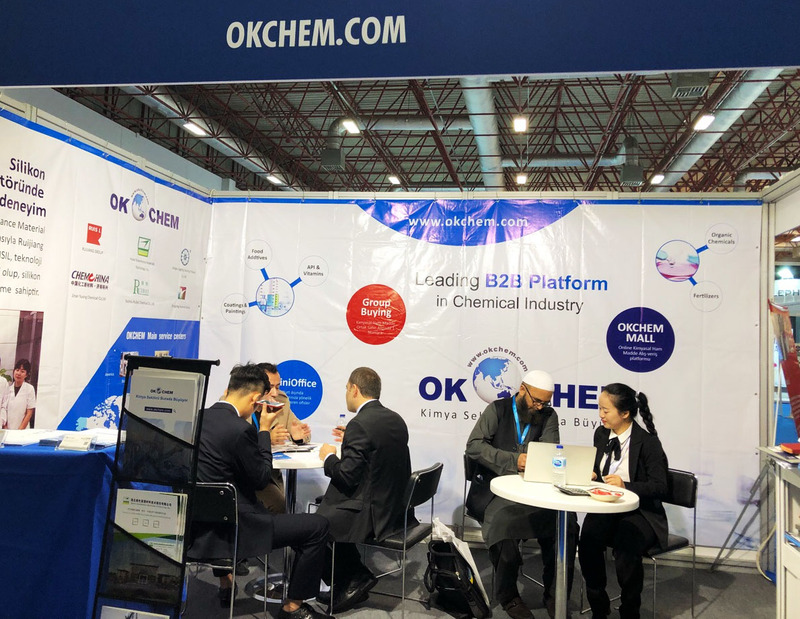 As a leading B2B platform in the chemical industry, our OKCHEM team in Turkey also attended this “everything-about-chemistry” event and showed at booth F335, Hall 10. In this exhibition, we have successfully attracted more than 500 buyers, suppliers, association and media partners to our booth. And our Vice President, Ms. Gloria Kong also gave a speech in the exhibition conference. Knowing our chemical B2B platform, some local buyers came to our booth looking for different chemical materials, such as TiO2, silicone, acetic acid, methyl acetate, etc. Some of the buyers have found the products from the quality suppliers on the platform and sent inquiries to these suppliers. Some other buyers came to us and wanted us to provide them the customized sourcing service. In this exhibition, our local co-worker have provided the Turkish Translation for the suppliers who attended the exhibition with us and have successfully helped some of supplier members find the local potential buyers for their products, including RUISIL, Jiangsu Qingting, Taizhou Rubai, Green Home, Yuxing, etc. Besides these Chinese suppliers, we have also met some supplier from India and Russia. 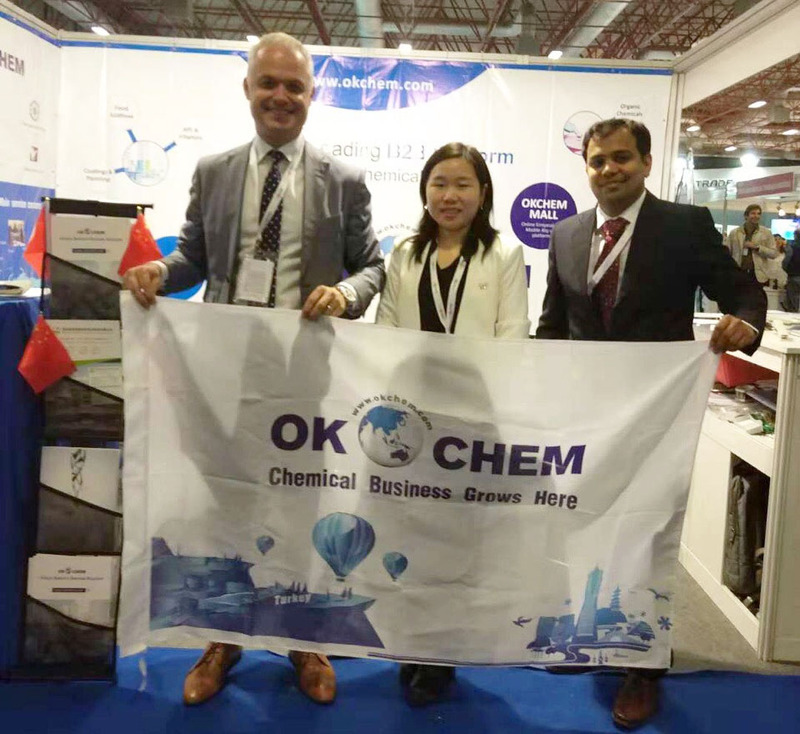 They wanted to expand the Turkish market and wanted to become suppliers on okchem.com after knowing that we had an overseas office in Turkey. They were also glad to hear that we also had office in India and Russia, so that we may start the cooperation soon. 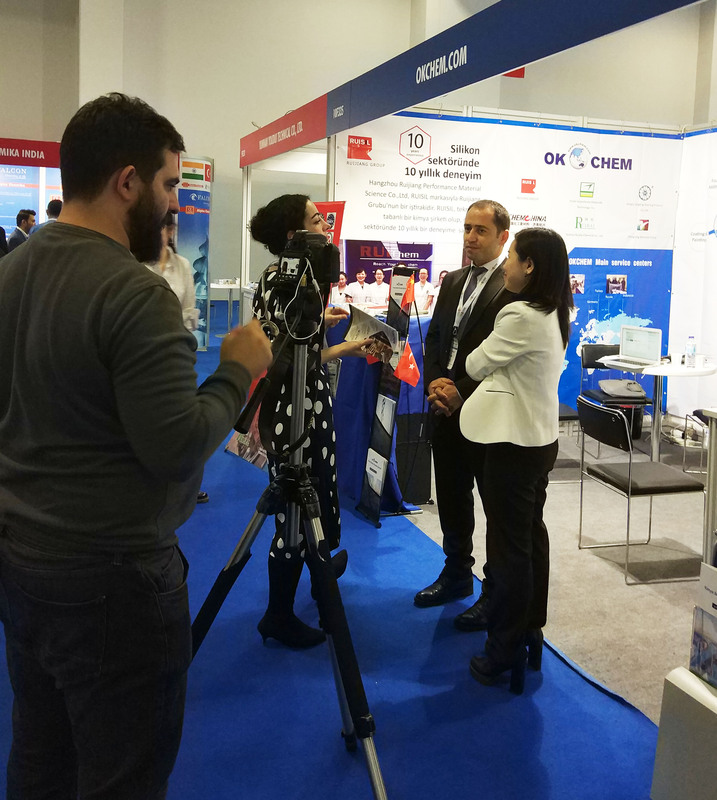 In order to let more chemical professionals in the Turkey market have a clear understanding about our platform and the solutions we may provide, our Vice President, Ms. Gloria Kong gave a speech on “Internet Development & Global Chemical Supply Chain” on Nov. 9. Some audience were quite impressed by the speech and came to our booth looking for cooperation. 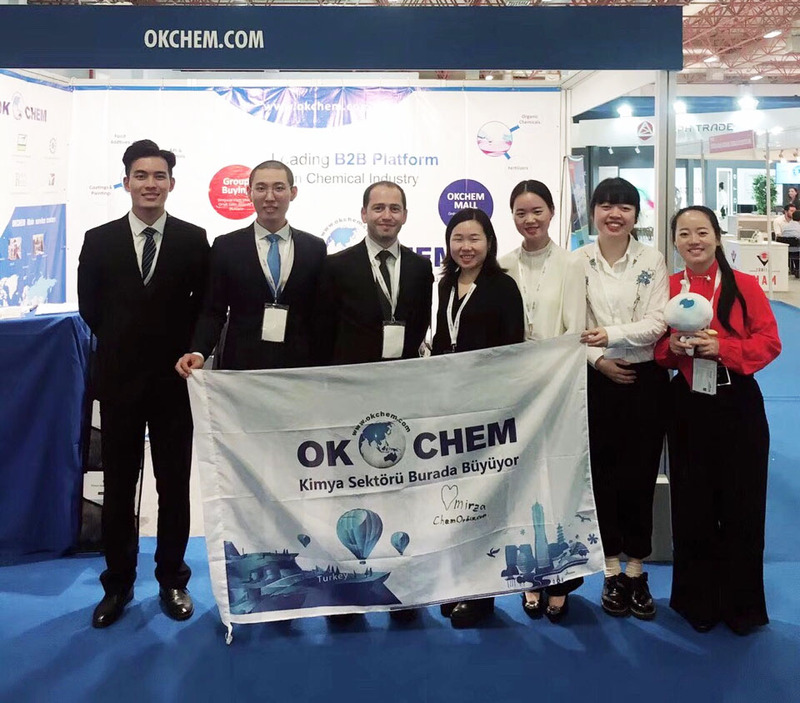 Either you are a chemical buyer or supplier, and no matter which overseas market your want to explore, our OKCHEM team around the globe can provide you the most suitable solutions and tailor-made services to help your chemical business grow.